vayikra (וַיִּקְרא) = and he/It called, proclaimed, summoned; and he/It met. Early copies of the Torah had no diminutive letters. But when the Masoretes wrote their definitive 9th-10th century versions of the Torah, they spelled 28 words with small letters, including Vayikra with a small alef, and the word has appeared that way ever since. There are also places where the Masoretic text gives two versions of a word, one (ketiv) in its original spelling (an actual word, but probably a scribal error), and one (kere) in a spelling that makes sense in context. But the 28 words with diminutive letters would be spoken or chanted the same way regardless of the size of their letters. Why did the Masoretes use small letters? Some versions of 10th century Masoretic texts include marginal notes, and at least six of these notes on small letters say (in a rough translation of the Aramaic) “small [name of letter] to state the accepted version”. The footnotes for at least four more just say “small” (ze-ira), probably an abbreviation of the note that the letter is small to indicate the accepted version. In other words, in the versions of the text that the Masoretes found unacceptable, the words were spelled with the controversial letters omitted. For example, the first word of Leviticus was spelled ויקר. In the accepted version of the text, the words were spelled with the controversial letters included. Vayikra was spelled ויקרא. The Masoretes spelled these words according to the “accepted” version—but they made the controversial letters undersized to document that they were missing in some Torah scrolls. Out of the 28 words with diminutive letters, seven are proper names, and ten are not even Hebrew words without the small letter. So only eleven of the words might mean something different if the diminutive letter were omitted. And one of these is vayikra, the first word of this week’s Torah portion. Without the alef (א) at the end, vayikra (וַיִּקְרא = and he/it called, summoned, met, encountered) would be vayiker (וַיִּקֶר = and he/it happened to, befell). The opening sentence would read: And It happened to Moses, and God spoke to him from the Tent of Meeting. God “happens to” (וַיִּקֶר) the Mesopotamian prophet Bilam in Numbers/Bemidbar 23:3. God tells Bilam what to do, and then when it is time for him to utter a curse or blessing, God puts the words into Bilam’s mouth. It is a one-way relationship. But the prophet Moses has a two-way relationship with God. They have long conversations, and sometimes argue with one another. So God wants to get Moses’ attention, God “meets” him or “calls” to him. In an earlier post, Vayikra: A Voice is Calling, I mentioned that God “called” Moses three times, the first two times from Mount Sinai, and the third time (with the diminutive alef) from the Tent of Meeting. 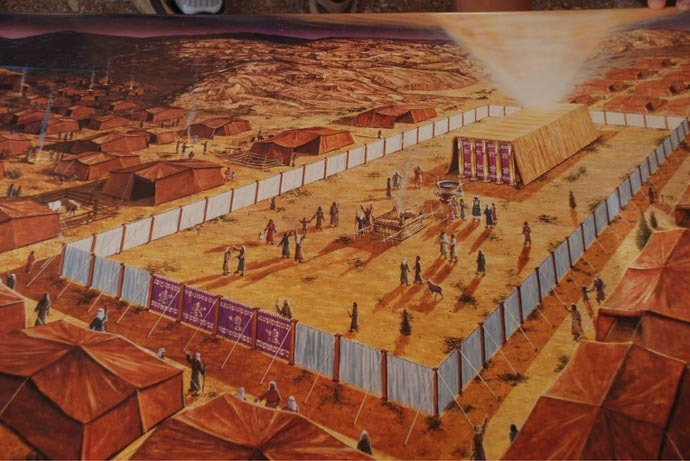 I cited commentary in Rashi and the Zohar that the miniature alef indicates a restriction or muting of the call, and suggested that God switched to an “indoor voice” when the people switched to connecting with God through the vehicle of the sanctuary tent. This year, I’d like to add that whether you encounter God in a sanctuary, or anywhere else in your life, there are two kinds of encounters. Sometimes a mystical experience just happens to you. If you are like Bilam, your mind is wired in such a way that it happens relatively often. Thus a conversation with the divine voice could be a much quieter affair than when God “happens” to someone. At the beginning of this week’s Torah portion, at the beginning of the book of Leviticus, God calls Moses with a small alef. Then Moses realizes that completing the Tent of Meeting according to God’s specifications is not the end of his work. 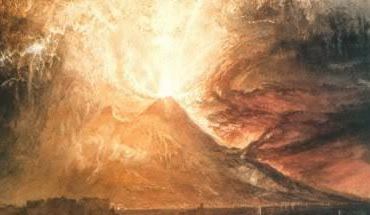 Even though God’s radiance has filled the sanctuary, Moses hears the divine inner voice urging him to go back into the Tent of Meeting for further instructions. May all of us learn how to be still, pay attention, and listen for the call inside ourselves. Humans tend to bring gifts to their gods. They have done it all over the world, from the beginning of history. In the Torah, the first human to offer a gift to God is Cain, the oldest son of Adam and Eve … and God rejects his offering. Religions help people to avoid the fear of being rejected by their gods by spelling out what gifts are and are not acceptable. The first part of the book of Leviticus/Vayikra (And It Called) is devoted to instructions about offerings for the altar. What kinds of animal and grain offerings will be acceptable to God? 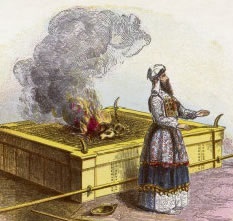 The first Torah portion begins by considering animals for burned offerings. Leavened loaves of bread can only be brought to the sanctuary for the priests and their families to eat; they must not be burned on the altar. Fruit syrup or jam can only be brought at the annual festival of first fruits, Shavuot, and the fruit preserves were also eaten by the priests. I am not persuaded by either Philo or Hirsch. I suspect that the key lies in the way the ancient Israelites viewed leavening. For modern Americans, leavened bread is sweet and yeasty, and sourdough bread is an interesting variation. But the ancient Israelites had only sourdough leavening, and their word for leavened bread, chameitz, comes from the same root as the word for vinegar, chometz. In Biblical Hebrew, when something leavens or ferments itself, yitchameitz, it turns sour and sharp, whether it is flour becoming sourdough bread or grape juice becoming vinegar. An offering that is going to straight up to God in smoke should not be sour. If we give ourselves to God in a sour mood, our offering will not be accepted. 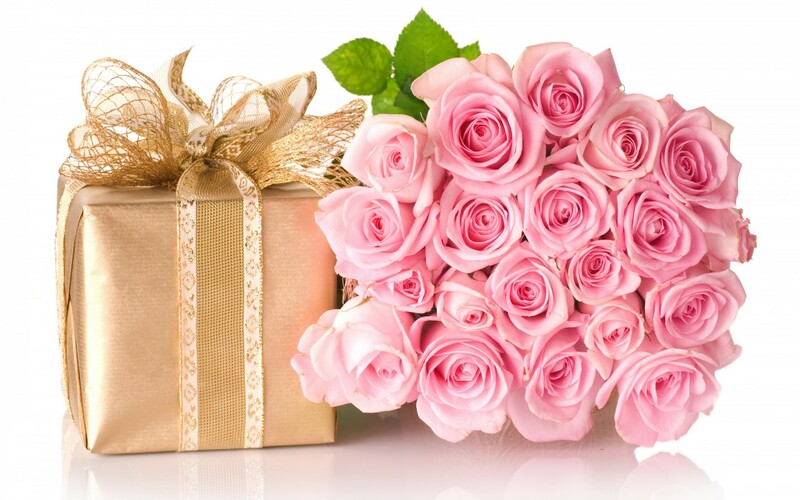 Nor should an offering sent straight to God be sweetened, as if the donor wanted to make it more palatable to God. If we try to sweet-talk our way into God’s favor, or to adopt a sweetness that we do not feel inside, our offering will not be accepted. Why is salt required for acceptance? Salt was not a rare commodity in Canaan; the Israelites used to quarry rock salt near the Dead Sea, which the Hebrew Bible calls the Sea of Salt. The salt quarries between that sea and the city of Sodom may be the “Valley of Salt”, the site of at least two battles in the Hebrew Bible. When God annahilates Sodom and Gomorrah in the book of Genesis/Bereishit, Lot’s wife looks back at Sodom and becomes a pillar of salt (one of many strange salt formations left by the evaporation of the Dead Sea). In Deuteronomy/Devarim Moses warns that when the Israelites worship idols in the future, God will destroy their land, and visitors will compare its barrenness to burning with sulfur and salt. Yet the proper care of a newborn infant included bathing it in water and rubbing it with salt, according to the book of Ezekiel/Yechezkeil; and the prophet Elisha “heals” a contaminated spring with a dish of salt in 2 Kings/Melakhim. Salt is both a preservative and a condiment for food. Thus the Hebrew Bible associates salt with both death and life. Salt apparently makes a covenant especially unbreakable and long-lasting. Many commentators attribute this to the fact that salt was the main preservative used by the Israelites. But salt was also their universal seasoning, set on the table for every meal. Eating a man’s salt was an idiom for being either his friend or his dependent. So a covenant of salt might imply not only durability, but also dependence or even friendship. 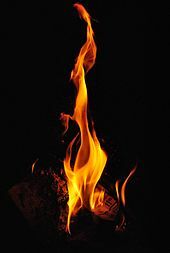 Now that we reach out to God by praying instead of by burning animals and matzah, we can apply the ideas in Leviticus about leaven, syrup, and salt in a more subtle way. All too often, when we stand before other people, we have to paste on a sweet smile. But when we stand before God, we need to abandon any false sweetness, as well as the pride and the sourness implied by leavening. And we need to be serious about life and death, offering our whole selves, and acknowledging that we all eat our salt at God’s table. Imagine you own nothing. You are homeless, penniless, hungry. Then someone gives you a farm with good soil, crops in the ground, and seeds. All you have to do is work the farm and trade your harvest for everything else you need. The farm still belongs to your benefactor, but he or she lends it to you rent-free for your lifetime, and you can even pass it on to your children. As soon as begin to feel secure, you are moved to thank the farm’s actual owner. So you send your benefactor a nice selection of its produce. Maybe you also include a loaf baked from the wheat you have grown. It’s the best you can do to express your gratitude, and perhaps your humility. This is how I imagine ancient peoples felt when they made sacrifices to their gods. They knew their lives depended on the gifts of rain, sun, and soil, as well as the plants and animals that were already in the world before humans came along. People wanted to recognize this by making a formal expression of humble gratitude, a gift to pay homage. But how could they deliver their gift? Some cultures made idols for their gods to inhabit, and set their gifts in front of the idols. But the ancient Israelites shunned idols. Until they built the sanctuary for God to dwell in, the only address they knew for God was “the heavens”. So they built altars, laid offerings on them, and burned them, sending the smoke up to the sky. It was the best they could do. The first offering to God in the Torah is Cain’s. 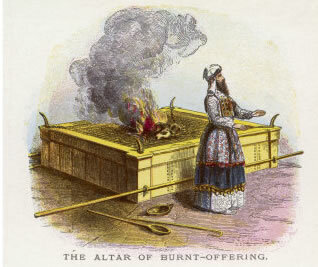 The Torah does not say whether Cain and Abel built altars and burned their offerings. But it is clear that the first offering to God is Cain’s minchah, consisting of the fruits of his harvest. 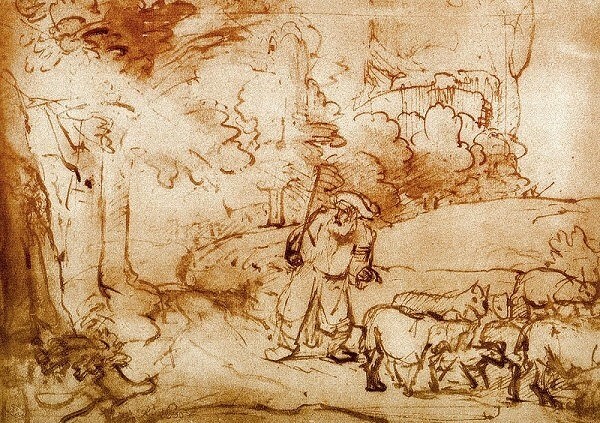 Abel follows his brother’s lead by offering animals from his flock to God, and the Torah also calls this offering a minchah. The rest of the offerings mentioned in the first two books of the Torah, Genesis/Bereishit and Exodus/Shemot, all appear to be animals, and none of them is called a minchah. That word is used again a few times in Genesis, but only for gifts from one human to another. Jacob gives a minchah to his estranged brother Esau to butter him up, and Joseph’s brothers bring a minchah to him when he is the viceroy of Egypt, for the same purpose. The Torah uses other Hebrew words for animal offerings. 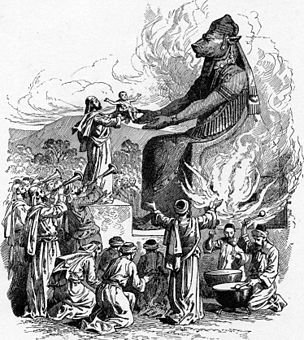 The standard procedure in Genesis, starting with Noah, seems to be building an altar out of stones, laying firewood on it, slaughtering the animal, and burning it. Later the Torah describes the annual offering of first-fruits on Shavuot, which also includes an offering of two loaves of leavened bread from each pilgrim. These offerings are presented to the priests at the sanctuary, but no part of them is burned on the altar. Why does a minchah have to be unleavened and unsweetened, while offerings for Shavuot, the Day of First-Fruits, include both leaven and fruit syrup? Plain flour and oil, whether cooked or not, represents basic subsistence. This makes an unleavened flour or matzah offering an expression of humility and gratitude that God makes life possible at all. Sourdough loaves and fruit syrups are examples of foods that go beyond basic subsistence, providing the luxury of pleasant tastes. As offerings, these foods express gratitude for a richness of life beyond what is strictly necessary to survive. The offering of gratitude for the bare fact of life is turned into smoke. Perhaps the smoke is not only a metaphorical fragrance for God to enjoy, but also a sign of the evanescence of life. We are lucky to have life at all — and all too soon, we fade away. But we are grateful for every moment of life. The offering of gratitude for luxuries and extras is not turned into smoke. It is a way of rejoicing that the early harvest is going well, that life is going well, with surpluses to enjoy. We can rejoice out of the fullness of our hearts, without any grim reminders of death. But we only indulge in this kind of gratitude once a year, as spring turns to summer. The rest of the year, we still need the reminder of the smoke. 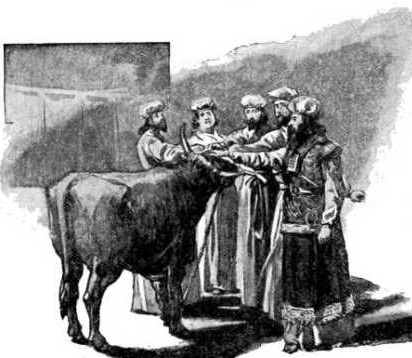 The blood and the abdominal fat of livestock are reserved for God in chapter 3 of the book of Leviticus/Vayikra, which provides instructions for making zevach shelamim, the animal sacrifices that are offered by an individual for the sake of shaleim, “wholeness”. This type of offering is made to express gratitude to God, or to confirm peace with the people invited to share the feast afterward. In brief, a man brings an unblemished cow, sheep, or goat to the altar, leans his hand against the animal’s head, and then slaughters it. The priests splash the animal’s blood against all four sides of the altar. The priests burn the fat covering the entrails, liver, and kidneys. The fragrance of the smoke from the burning fat is the donor’s gift to God. Then the donor and his guests eat the meat in celebration (and according to Leviticus 7:31-35, the priests are given the breast and the right thigh to eat). Splashing blood is certainly a dramatic ritual, and fat burns well. But fat and blood are not merely reserved for the ritual at the altar. The Torah prohibits the people from eating any abdominal fat, or any blood, anywhere. Even far away from the altar, even in a time when there is no temple, abdominal fat and blood are reserved for God. Why? A reason for not consuming blood is given in Leviticus 17:14: “You may not consume the blood of any flesh, because the nefesh (soul, animating force) of all flesh is its blood.” Genesis 9:5-6 also links blood with the nefesh of a human or animal, and forbids humans to eat flesh with the blood still in it. Ramban (13th-century rabbi Moshe ben Nachman) wrote that someone who eats an animal’s blood dilutes his own nefesh and becomes less spiritual, more animal. 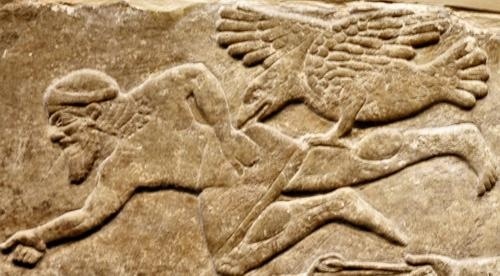 So blood is equated with the nefesh, the animating force that makes a creature alive. What does abdominal fat stand for? Rabbi R.S. Hirsch wrote in the 19th century that the blood of an animal is its essence, while the fat is what it produces for its own needs. The essence of an animal must never become a human being’s essence, and the needs of an animal must never become a human being’s needs. Human nature must not be equated with animal nature. I would add that abdominal fat is stored up as a reserve calorie supply against a hungrier time. It’s like a pot of silver buried against hard times; in modern terms, it’s like a stock portfolio. Stockpiling resources can be a good strategy. But we must not become so attached to our stock portfolios that we despair when the market plunges. We cannot really control our savings, so in a way they do not really belong to us. The fat belongs to God. Similarly, it’s good to tend to our health, to enjoy each day of life, to “choose life” for ourselves and others. But my life, my nefesh, ultimately belongs to God.